When the Toronto Blue Jays acquired RHP R.A. Dickey from the New York Mets following his 2012 Cy Young Award, they took a huge gamble. After all, this was a man who had just completed his age-37 season, but Dickey was very good over his three full seasons with the Mets and knuckleballers are able to pitch “forever”, right? Well, after investing $41 million into the knuckler, the Blue Jays are still without a title and Dickey is now floating pitches for Atlanta. Unfortunately, the Blue Jays didn’t just invest millions of dollars. They gave up prospects to receive Dickey from the Mets, including C Travis d’Arnaud and the majestical, golden locks of RHP Noah Syndergaard. Dickey’s 49-52 record and 4.05 ERA over his four seasons to the north would ultimately cost the Blue Jays a legitimate ace. While Toronto made the playoffs in Dickey’s final two seasons with the club, he wasn’t the ace – by any means – as RHP Marco Estrada, RHP Aaron Sanchez, RHP Marcus Stroman, and LHP J.A. Happ had gradually taken on larger roles in the rotation. The problem, however, was that none of the other pitchers could give the Blue Jays the innings necessary to go deep into the playoffs. With a lack of pitching depth around the incredible bats of 3B Josh Donaldson, OF Jose Bautista, and 1B/DH Edwin Encarnacion, the Jays faltered in the ALCS the last two seasons. While D’Arnaud has battled injuries…constantly…Syndergaard has become one of the best young arms in baseball, even leading the Mets to a World Series in 2015, winning his only start against the eventual champion Royals. Since the World Series loss, Syndergaard has thrown 202.2 innings, striking out 238 (10.6 K:9), and posting a 2.44 ERA (2.15 FIP). Still just 24 (25 in August), “Thor” has a microscopic 0.95 ERA and 0.84 WHIP thanks to his 20:0 K:BB over his first three starts and 19 innings of 2017. The Mets have control of their young ace through the 2021 season, which, clearly, leaves the Mets as the winners of this trade. Getting Dickey with LHP Mark Buehrle and RHP Josh Johnson was, on paper, a huge, smart investment. Injuries to Johnson and age affecting the results of Dickey and Buehrle didn’t allow this wonderful offseason to culminate into anything but a last place finish in the AL East in 2013. Bleacher Report had a nice collection, including Stark’s, that you can check out if you’d like. There are prospects dealt every year. Hell, OF Michael Brantley became the “player to be named later” in the Indians’ deal that sent LHP CC Sabathia to the Milwaukee Brewers in 2008 – and nine years later, “Dr. Smooth” is still rocking a Tribe uniform. You would think that teams would have learned about the value of those cost and team-controlled years, but we still see these types of deals. Risks are the norm when a team is chasing a title. Unfortunately, the Blue Jays’ gamble will likely go down with the acquisitions of Frank Robinson, John Smoltz, and Jeff Bagwell as one of the worst trades in baseball history, and Toronto fans will long for “Thor” as he continues to lead the Mets’ rotation for several years. The series of trades that Toronto thought would bring them a title left their system bare. Sure, Sanchez and Stroman came up through their system, but when Syndergaard, LHP Justin Nicolino, RHP Henderson Alvarez, and RHP Anthony DeSclafani were dealt, the club’s depth took a hit. Now, sitting at 2-10 to start the 2017 season, the club needs a starter with Sanchez heading to the DL. What are their options? LHP T.J. House, RHP Mat Latos, and RHP Brett Oberholtzer. Another season without a title and another season with very little pitching depth at the Major League level, as many of their top pitching prospects are getting their first tastes of Double-A. They can always continue to just outscore the opposition, but it hasn’t worked this year. While we can look at this as the “Dickey deal”, it was so much more than that. The philosophy of buying a title by mortgaging the future is what continues to be problematic for the Jays. 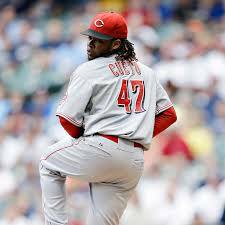 What Kind of Prospects Can Cueto Bring Cincinnati? Johnny Cueto will not be a Cincinnati Reds’ pitcher come August 1st. The question is no longer if but when the right-handed ace gets traded by Cincinnati, and, just what is he going to be worth? Cueto, a free agent after the season, will be owed less than $5 million over the rest of the season. He will not net the team that receives him a draft pick if he leaves in free agency, so does that mean the Reds won’t receive a generous package for him? Jon Lester was dealt by the Boston Red Sox to the Oakland Athletics, along with Jonny Gomes, last season for Yoenis Cespedes and a competitive balance (Round B) pick. Cespedes, an All-Star last season, was under team-control for 2015 ($10.5 million), but he was dealt to Detroit over the winter for RHP Rick Porcello, who was under control for 2015 before signing a four-year extension. Lester, 30 at the time of the trade, was a year older than Cueto, yet, he had six seasons with 190 or more innings pitched in his career, while Cueto only has two. Lester would leave Oakland for a six-year, $155 million deal with the Chicago Cubs after the 2014 season. Zack Greinke was traded from the Milwaukee Brewers to the Los Angeles Angels in 2012 for Jean Segura, Johnny Hellweg, and Ariel Pena. Segura headlined the deal, ranking No.55 overall (by both MLB.com and Baseball America) prior to the 2012 season. 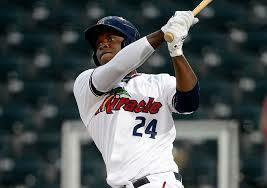 He earned an All-Star appearance in 2013 and was a fixture at shortstop for the Brewers by August after the deal. 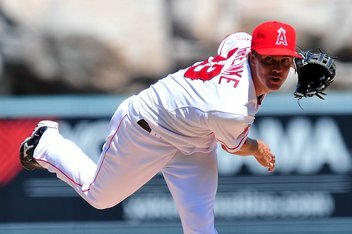 Greinke was 29 at the time of the deal, the same age as Cueto, and had reached 200 innings in three seasons during his career at the time of the deal. Greinke signed a six-year, $147 million deal with the crosstown Los Angeles Dodgers after the 2012 season. CC Sabathia was traded from the Cleveland Indians to the Milwaukee Brewers in 2008 for Matt LaPorta, Zach Jackson, Rob Bryson, and a player to be named, who became Michael Brantley. LaPorta was the supposed prize of the package, as he ranked the No.23 prospect in baseball by Baseball America prior to the 2008 season. Sabathia would go on to sign his eight-year, $182 million deal with the New York Yankees after having shown himself as a dynamic workhorse with seven seasons with at least 180 innings pitched and a Cy Young award by the age of 27, when he was traded. The Indians have benefited most from Brantley, who was an All-Star for the first time in 2014, but LaPorta hasn’t been in the majors since 2012 and is now out of organized baseball after compiling a .238/.301/.393 line over 1,068 career plate appearances in MLB. It is anyone’s guess as to what Cueto is actually worth; however, these deals provide a sort of blueprint for what the Reds could be seeking. Below are the names of some teams who are rumored to be interested in trading for the Reds’ ace, and some prospects who may interest Cincinnati. Could the Reds snag Mondesi in a deal with the Royals? 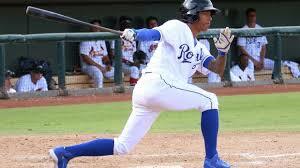 Raul Mondesi – ranked 27th by Baseball Prospectus, he has moved quickly through the minors and has more glove and speed than offensive production to this point; however, he has projectability in his ability to hit the ball. He would be a tremendous get for the Reds, though, they may have him spend some time in the minors to let his game even out a bit. Miguel Almonte – Almonte doesn’t have eye-popping numbers like some prospects have in the minors, but he would be a solid addition to the Reds rotation by mid-2016. He has three solid offerings, including a change that he can use as a punch-out pitch. He was ranked as the No.56 prospect in baseball by Baseball Prospectus prior to the 2015 season. Scott Blewett – A 6’6″, 19-year-old right-hander, Blewett possesses electric stuff. He is only in the short season South Atlantic League, so he is a project, but he has the kind of fastball that would make him a nice additional piece in a possible deal including either of the two players above. Jorge Bonifacio – This 22-year-old outfielder hasn’t lived up to his potential to this point, but he has a dynamic arm for right field and plenty of power potential. He was rated as the No.90 prospect in baseball prior to the 2014 season, but saw his stock fall a bit due to some struggles in Double-A. Now repeating the level, Bonifacio has 18 doubles and 15 homers. Again, he isn’t a centerpiece in a Cueto deal, but he would be a solid piece. Chris Anderson – The big (6’3″, 235 pounds) right-hander has the makings of an innings-eating, mid-rotation starter. He was a first round pick in 2013 out of Jacksonville University, and he would be someone who could help the Reds by the middle of the 2016 season, having already made 17 starts at Double-A. He has three potential above average pitches in his fastball, slider, and change. Jose De Leon – The 22-year-old right-hander has catapulted himself into prospect watcher’s eyes by striking out 251 batters in just 171 innings since the start of the 2015 season. Ranked as the No.7 prospect in the Dodger system by Baseball Prospectus prior to the season, he will give Julio Urias a run for the money in a race to Los Angeles, and may have performed his way out of becoming a piece in a trade. Is Norris worth giving up for a run in Toronto? Daniel Norris – The 22-year-old left-hander jumped four level, all the way to Toronto, by dominating at every stop last season. His reward was five starts to begin April with the Blue Jays before being sent down to work on his craft. He hasn’t dominated in Triple-A this season, but he has the stuff to be an asset in Cincinnati. He would be a tremendous addition, though his No.17 prospect ranking by MLB.com prior to the season could make him a long-shot. 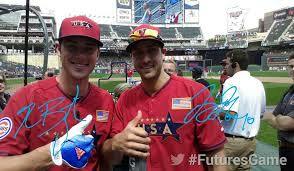 Jairo Labourt – The 21-year-old lefty looked solid in the Futures Game. He has a fastball that can reach the mid-90’s and can miss bats (9.8 K:9 last season), but he needs to work on his command (5.2 BB:9 this season). He would make for an interesting project. Anthony Alford – After giving up football, Alford has taken off this season. In 20 games since being promoted to High-A Dunedin, he has a .349/.406/.523 triple-slash with 10 extra-base hits and six stolen bases. As a center fielder with tremendous athleticism, he could take over the gig if Billy Hamilton continues to lack the on-base skills necessary to utilize his speed in the near future. 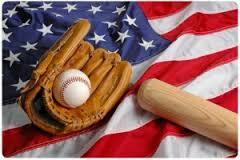 As we celebrate Independence Day in the United States, we feel that pounding in our chests from the explosions high above, while many of us listen or watch our favorite baseball teams and eat apple pie. It is the epitome of America in a single day, but many of us are reminded that our teams just aren’t doing enough to win. Some of our favorite teams will be seeking help to improve their chances of winning, while others will begin dumping talent to build a winner next year. With less than four weeks remaining until the non-waiver trade deadline, where does your team stand? Does the additional Wild Card opportunity continue to lead to many clubs standing pat? Who needs what and who could be on the market? The standings tell an interesting story. In the American League, there isn’t a single team more than six games out of the Wild Card hunt. The Oakland Athletics feature a 38-46 record after some huge deals this winter haven’t truly materialized as Billy Beane hoped; however, the A’s are 13-7 over their last 20 games, so they may not be as willing to deal a Ben Zobrist or Scott Kazmir (both free agents after the 2015 season) to continue the club’s unending rebuild and collection of controllable talent. With other woulda-coulda-shoulda-been contenders just ahead of Oakland in Seattle, Boston, and Chicago, the American League could see plenty of clubs reloading rather than rebuilding when the deadline approaches. In the senior circuit, the National League has its share of contending teams, but they also have four clubs sitting 11 or more games under .500 (Miami, Colorado, Milwaukee, and Philadelphia). Another team that is on the border of Wild Card contention could be Cincinnati, who sits six games out in the Wild Card; however, with the St. Louis Cardinals leading the Reds by 15 games, the team may need to begin looking into dealing Johnny Cueto, Mike Leake, Aroldis Chapman, and/or Jay Bruce to get back on the same page as their NL Central foes. Even if the Reds aren’t sellers, names like Cole Hamels, Aaron Harang, Carlos Gomez, Jean Segura, Troy Tulowitzki, Carlos Gonzalez, Dan Haren, and Mat Latos will likely head elsewhere from the four bottom-feeding clubs. So, where could these names end up? Who are the contenders likely to make deals or stand pat? It isn’t an even year, so the Giants won’t be taking the World Series championship. That leaves the Cardinals, who have the best record in baseball, locked-in and ready to seek another title, utilizing the “Cardinal Way”, aka computer hacking, to make it happen. 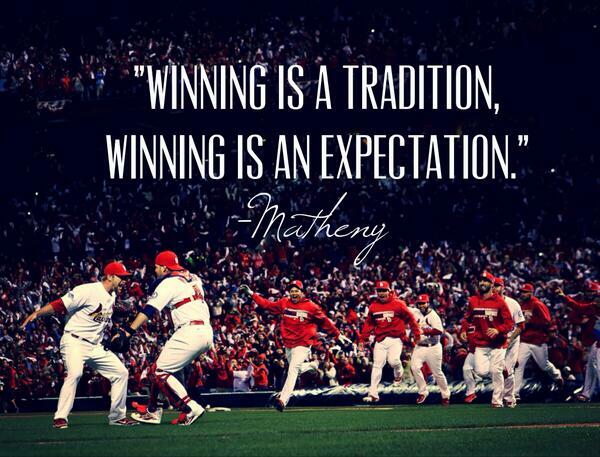 Though they continue to win games, St. Louis is without Matt Adams and Adam Wainwright for the entire season. With Jaime Garcia continuing to struggle to stay healthy, St. Louis could be in the market for another bat or arm. Stephen Piscotty could get a look if Mark Reynolds isn’t the option at first, but the Cards would be wise to shore-up the rotation a bit – just in case another injury strikes. They’re again loaded and talented, and they could take advantage of their strong farm to improve their chances once again. 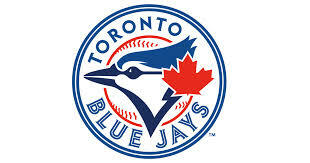 The Blue Jays are just three games out in the AL East and 1.5 games out in the Wild Card. With their lineup featuring so many capable sluggers, they just need some pitching to get over the hump. Toronto continues to develop strong pitching prospects, so they could offer some of that talent to acquire an arm for a big push down the stretch. The Blue Jays’ 4.59 starter ERA ranks 26th in MLB, and you have to wonder if Hamels, Kazmir, or Cueto could help the pitching staff enough to allow Jose Bautista, Josh Donaldson, and Edwin Encarnacion to do their thing with the bats. The Mets’ pitching staff is too good for the club to run out a lineup of Triple-A and MLB bench quality players on a nightly basis. While the club isn’t going to deal their entire farm system and start from scratch, the Mets would be wise to deal some of their young pitching depth to acquire some semblance of an offensive weapon. The Troy Tulowitzki rumors were a big thing earlier this season, but that wouldn’t be enough to help this lineup on its own, especially when he’d be replacing one of the Mets major producers, Wilmer Flores (11 2B, 10 HR, leads team with 34 RBI), at short. Chris Sale is untouchable, right? 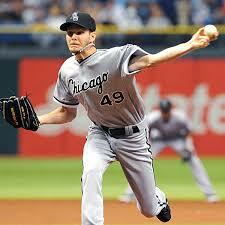 Chicago would probably burn again if the White Sox trade Chris Sale. At just five games out in the Wild Card, the team isn’t going to fold after spending big on Melky Cabrera, Adam LaRoche, and David Robertson in free agency this past winter, and they still have Avisail Garcia and Jose Abreu to produce in the lineup, along with a deep, strong rotation with Jeff Samardzija, Carlos Rodon, Jose Quintana, and John Danks joining Sale in the group. If the White Sox do anything, they could afford to get a second baseman, as the team has received a .193/.239/.232 from the keystone position this season, easily the worst in baseball. The Rays are somehow managing to compete in the AL East this season, even after dealing with many injuries to their rotation to start the season. When Alex Cobb, Matt Moore, Drew Smyly, and Jake Odorizzi are on the shelf at the same time, you, likely, wouldn’t expect the Rays to still be just three games out in the division and 1.5 games out of the Wild Card. While Tampa Bay could make a few upgrades, they aren’t really in a position to deal from their minor league system due to continued financial limitations, while they are likely to get production from a healthy Moore, Smyly, and Odorizzi in the second half, who will join Cy Young consideration worthy Chris Archer to squander the opposition and win plenty of games. The Diamondbacks already made some noise by dealing (giving away) a player whom they drafted last year, and signed for $2.7 million, Touki Toussaint, along with Bronson Arroyo‘s remaining contract, for 26-year-old utilityman Philip Gosselin. Even without Kevin Towers running things, no one knows what Arizona is thinking. Dave Stewart is now running things for Tony LaRussa out west, so Lord only knows what is going to happen here. However, this club has a superstar in Paul Goldschmidt, an underrated star in A.J. Pollock, and some very nice young pitching in Rubby De La Rosa, Chase Anderson, Robbie Ray, and Archie Bradley. They would be wise to see what this group would do and to not GIVE AWAY good young talent like the club has been doing for the last several years (see Trevor Bauer, Justin Upton, and Tyler Skaggs). 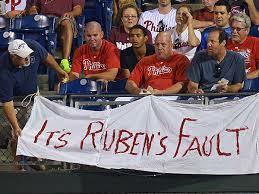 Whatever the club can manage to pry away to get rid of Ryan Howard and/or Chase Utley would be wise. This team is 27-55 entering play Saturday, well on their way to the first overall pick in the 2016 MLB Draft. It has to be a miracle that Ruben Amaro, Jr. is still employed. He may be a great guy, but he has ruined this franchise for years to come. If the club can deal Hamels and get great prospects WHILE dumping Hamels salary and allowing the team to start fresh next winter, it would be wise to do so. Dealing Jonathan Papelbon to a contender would also be a great move, as a highly-paid closer on a team that doesn’t win games is an absolute waste of time and money. I mentioned before that the Reds could stand pat, but they need to deal Cueto and get value out of him, as I wrote recently. Jay Bruce’s production could make him hard to deal, but the club has Marlon Byrd under contract next year (vesting or team option at $8 million) with Jesse Winker showing he isn’t over-matched in Double-A to fill in the spaces around Billy Hamilton. Perhaps there is a match with the White Sox with Brandon Phillips, though his contract is as steep as his age. The Reds are more likely to play on the moon than get a team to take on Joey Votto‘s contract, so they’ll need some cheap, controllable pieces to collect and pray for production from. With a payroll that continues to be labeled “small-market”, the Reds are in serious danger of being awful in the next couple of seasons without acquiring near-ready talent. Saunders has battled injuries throughout his career, but there is quite a bit of unlocked potential within him that could burst out in the tremendous lineup that the Blue Jays possess. Even after having knee surgery in February, Saunders will get enough plate appearances to carve out value. In his native Canada, he could find levels of comfort that he wasn’t able to in Seattle, and at just 28, he has his prime and a solid power/speed combination to become another offensive force in Toronto. Can the stuff be tamed enough for Sanchez to become a top starter? Sanchez was electric out of the bullpen in 2014, posting a 1.09 ERA and 0.70 WHIP over 33 innings and 24 appearances. He has electric stuff, but the inability to control it, as well as some shoulder issues, have led to a cautious approach from Toronto, but it still wasn’t enough to keep him from making his debut at 21. Now, seemingly locked into a rotation spot, Sanchez will have an opportunity to shine as a starter. It won’t always be pretty, especially with the potential for high walk totals, but he has enough stuff to warrant roster consideration in any and all formats. Offseason Overview: Possibly the biggest addition a team could have made this winter was signing C Russell Martin, as his pitch framing and ability to produce solid offensive numbers impact the roster tremendously. If you consider the power and punch in the lineup, you’ll see that his true value will lie in his ability to work with the pitching staff. 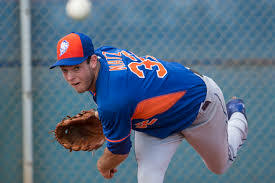 While Josh Thole will likely remain R.A. Dickey‘s personal catcher, Martin could play aÂ hugeÂ role in the success and maturation of Opening Day starter Drew Hutchison (23), RHP Aaron Sanchez (21), and LHP Daniel Norris (21). The Jays lost 1B/DH Adam Lind to Milwaukee, they were able to sign former can’t-miss prospect Justin Smoak to an affordable deal, while handing the center field job over to Dalton Pompey after Colby Rasmus left via free agency. Adding Josh Donaldson was a coup to an already incredible offense, and his defense is just as stellar as the bat. The Verdict: The loss of Marcus Stroman really hurt the rotation. As much as I, personally, wanted Aaron Sanchez to be a starter, he isn’t ready, and he would have been better served in the bullpen until the club knew that he had harnessed his stuff. That isn’t to say that who is around isn’t valuable. Hutchison should come into his own this season, and Dickey and LHP Mark Buehrle are about as sure a bet as you can get to penciling in 200 innings and 32 starts. 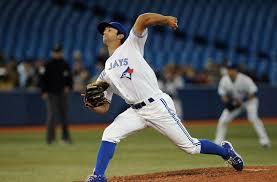 With Norris and Sanchez as high potential wild cards, the Toronto rotation will certainly be worth monitoring. The offense is outrageously talented. Adding Donaldson to Edwin Encarnacion and Bautista makes the Blue Jays lineup an absolute nightmare for opposing pitchers. The AL East will continue to be a demanding division, but the Jays are heading in the right direction. They have plenty of major league talent and are utilizing their system to acquire more of it, as they did with Donaldson. The 83 wins seem about right, but, with Martin leading the pitching staff, 87 and contending for a wild card spot is within reason.